Mitsubishi have a range of cars which are reliable, hard working and just do what they are supposed to in a no nonsense kind of way. The range includes the Mitsubishi ASX, Mitsubishi , Eclise Cross, Mitsubishi L200, Mitsubishi Mirage, Mitsubishi Outlander, and of course the Mitsubishi Shogun. We've got some great Mitsubishi lease offers as you can see here. 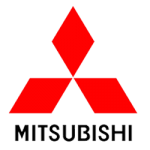 If you have any question on our Mitsubishi lease deals, please get in contact.